“Women taking part in film is a democratic issue. It’s about balancing the narrative that has been predominantly male as well as balancing perspective and owning the narrative “, said Kudzai Chimbaira, at the launch of African Women Filmmakers Hub, held in Harare on the 2nd of September 2016. A day before the 15th edition of the International Images Film Festival (IFF) wrapped up, African women from eight different countries, came together to map a way forward for their equitable inclusion in the continental industry. The vehicle for this is the African Women Filmmakers Hub, a Pan-African platform designed to increase African women's production capacity and presence in film. The project is the brainchild of the Institute of Creative Arts for Progress in Africa. A diverse group of filmmakers from Zimbabwe, Malawi, Tanzania, Kenya, Rwanda, Cote d'Ivoire, Senegal and Ghana were present at the meeting. Participants all agreed on one point, the need for African women to claim their space in the film industry. The women in the room were all talented, competent and well accomplished in their chosen craft, however they have all faced the same roadblocks in this male-dominated industry. The meeting provided them with a safe space where they could share experiences working in the industry on the continent with male counterparts who refuse to acknowledge their abilities. Overseas, the only roles available for them were those of refugees and prostitutes. Those who worked as directors and writers were all expected to tell stories that reinforce stereotypes. As African women they have been constantly confronted with the double jeopardy of being female and black. Participants shared experiences of racism, sexism and body shaming. After standing against this they are ready to be, “radical about claiming this space”. One participant spoke about the positive stories of women being constantly buried away. More often than not these stories are replaced by negative narratives that continue to undermine the place of women in history and society. The filmmakers at the hub were all committed to challenging the misrepresentation in the film industry to allow women to tell their own stories and experiences. The African Audiovisual Cinema Commission (AACC) also came into focus during the meeting. The commission since it's inception in April 2016 has been silent on gender issues and the representation of women. The absent voices of women stakeholders in film was noted as a big cause for concern and participants agreed to draw a statement to the African Union. In the statement they asked the AU to align the commission with Agenda 2063 by ensuring the equitable inclusion of women. The statement was read at IIFF 2016’s closing ceremony by Matrid Nyagah from Kenya. Mapping a way forward, the hub resolved to address the shortage of skills on the continent through mentor-ship programs, master-classes and training workshops. Co-productions and production of short films will be done in the countries represented, which will go a long way in balancing the narratives of African women. To ensure representation of all the regions a steering committee was selected. The committee will be chaired by Kenya with Senegal serving as deputy. Mini-hubs will be set up in all the three regions. 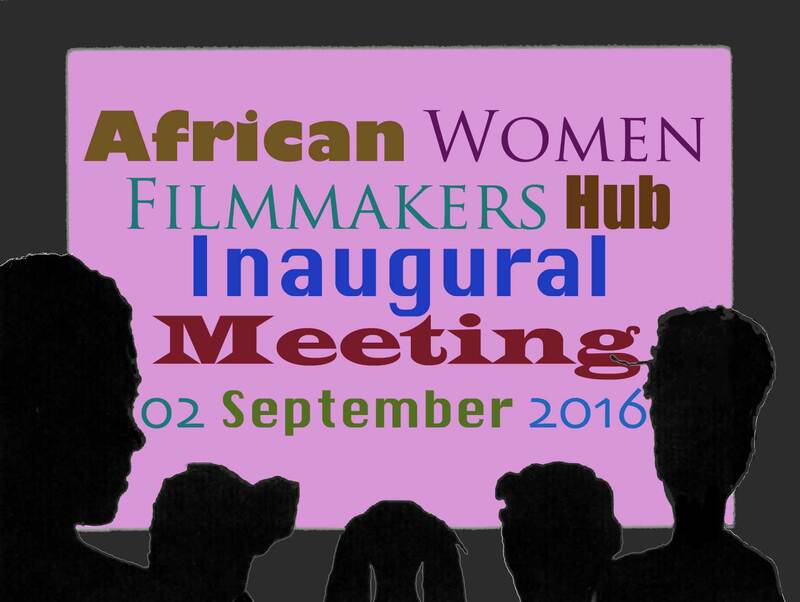 The African Women Filmmakers Hub is a celebration of women, a challenge to perceptions, stereotypes and a move to change the politics that place African women at the bottom of the food chain. All members of the hub made a commitment to uphold the values of feminism in all the work to be undertaken. This ground-breaking project was made possible by the Ford Foundation.